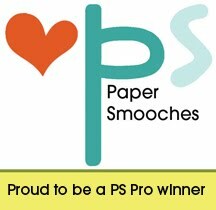 Paper Smooches Challenge...Very First Entry! I don't know if I'm the only one (and i'm hoping i'm not), but I have a severe addiction to online shopping. Not clothes, not shoes, but card making supplies. I tell myself every week that I have enough, more than I'll ever use in fact. But it's just SO HARD!! 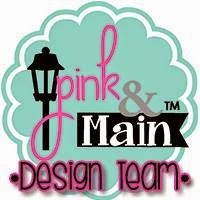 These darn stamp companies keep coming out with fabulous new stamps and dies and inks and papers!!! What's an addict to do!!??! So, I did show a little restraint this weekend and only ordered one gigantic roll of 3M foam tape from Amazon, pretty excited about that. I'm going to, no, I HAVE to put myself on a strict craft budget....starting soon...😀. Anyway, onto the whole point of this post. To keep myself offline as much as possible, I spent some time in the craft room. This card I'm going to enter in the papersmoochesstamps.com Anything Goes (wk5) Challenge. I used the Party Pals stamp with the Happy Birthday from the Sentiment Sampler. I paper pieced the whole image on top of the stitched frame die. Layered over some random pink paper. Finished with some black pearls and Glossy Accents over the balloon. I know its been a little while so I thought it was time to share a couple of cards I've made. I haven't entered any challenges as of late but intend to soon...maybe this weekend?? 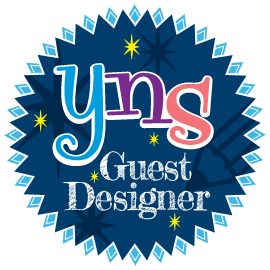 As you know I'm a big fan of www.yournextstamp.com products, so this first card is using the Cactus and Flower Fun stamp set and dies. The "hello" sentiment is from www.simonsaystamp.com Sending Happy Thoughts stamp set. My next card is using the Paper Smooches Calico stamp set as the focal point. Scalloped outer die is from Simon Says Stamp Frames die set. Stitched Rectangles are from Lawn Fawn. The sentiment is also from Simon Says Stamp, sentiments of Happy. My last card features a die from Elizabeth Craft Designs wich I believe is called Gifts. It's hard to tell but I placed the die on a watercolored piece of paper. Used a Stitched Circle die from SSS to create the window. The flowers are from the Paper Smooches Flowers dies cut from various scraps of Cardstock. The "Happy Birthday" sentiment comes from Lawn Fawn's Bake Me a Cake stamp set which is silver heat embossed on another stitched circle die. Okay, I am super excited about this!! 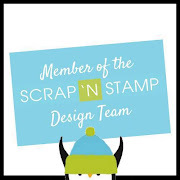 First and foremost I LOVE Your Next Stamp products but having my card "spied" and featured on their blog is amazing! Thank you so much for the boost of confidence!! So here it goes...my first post! This is a little intimidating to be honest. I'm scared no one will read this or no one will care! I'm just a very amateur crafter and DIY'er. I'm addicted to Pinterest and love finding projects to recreate. I consider myself crafty but not overly creative. My passion and favorite thing to do is make cards. I have a stash of cards for every possible occasion, more than I will ever use, am I the only one? So with my blog, I will post some projects. Just for fun stuff. A challenge entry here and there. Please forgive any silly mistakes I may make(not really computer saavy😊. Here we go...these two cards I entered in the YourNextStamp.com Sketch and Color Challenge #9. 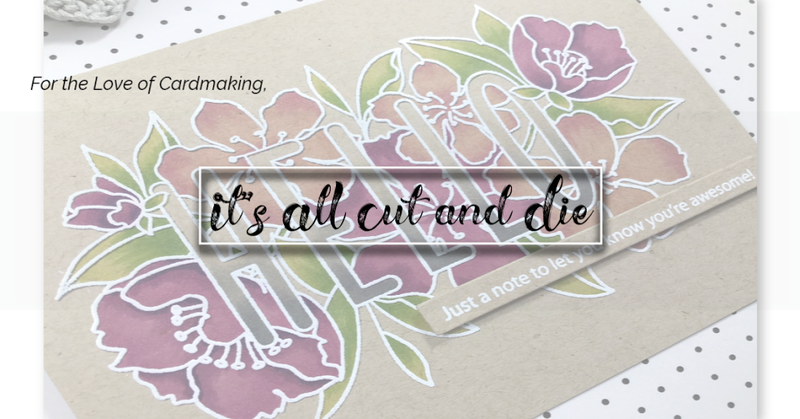 This card was made using the Love and Smiles stamp set with coordinating dies, the open scallop die set(which I am obsessed with at the moment), sentiment is from the Bitty Bugs stamp set, and Your Next Stamp Gumdrops. Other products used include Lawn Fawn's Stitched Rectangles and a banner from My Favorite Things. My second entry uses, again, the Bitty Bugs set, scallop dies and the Mason Jars stamp set. I paper pieced the lid of the jar, added vellum to the jar and wings of the butterfly. So, there it is. My first post. Hope you enjoyed!